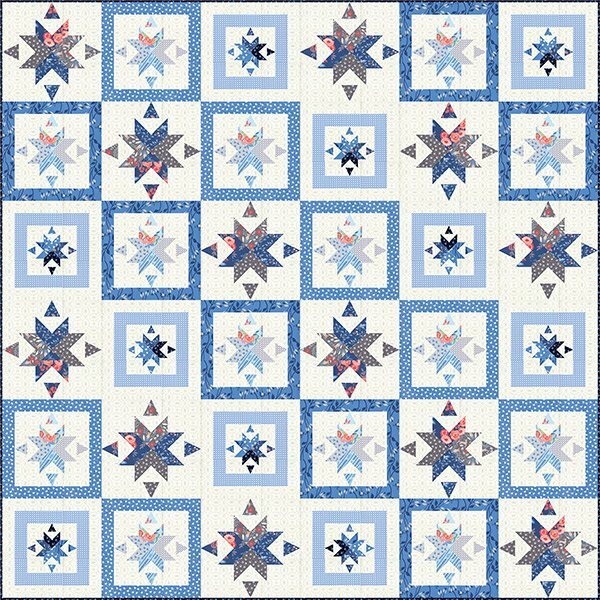 Cafe Tiles Quilt Pattern by Franny & Jane QJP M205. Project Size 72.5" x 72.5". Fabric featured Bloomsbury. influence of the Bloomsbury aesthetic in design, art, textiles and literature.